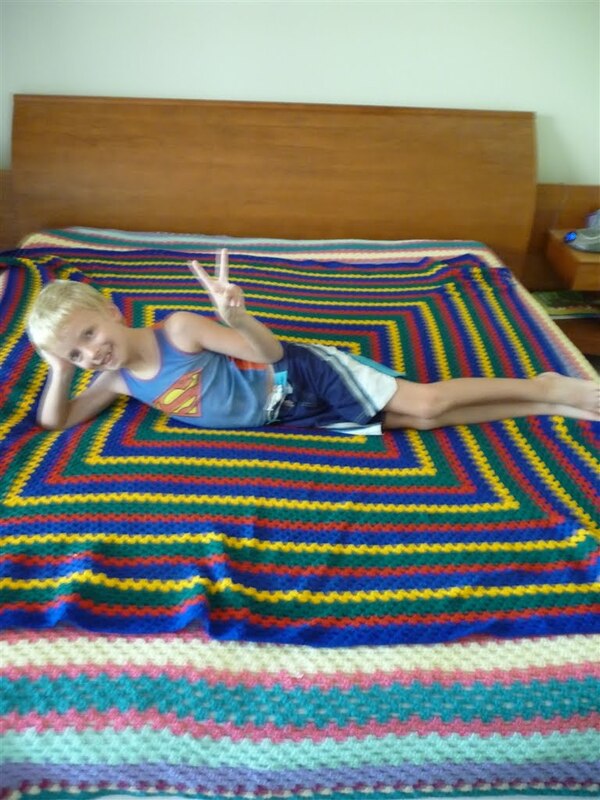 My mother use to spend the cold winter months watching tv and crochet a blanket. The state of Queensland in Australia has a very mild climate and our winters not very long. It would take Mum a couple of years to finish off each blanket. 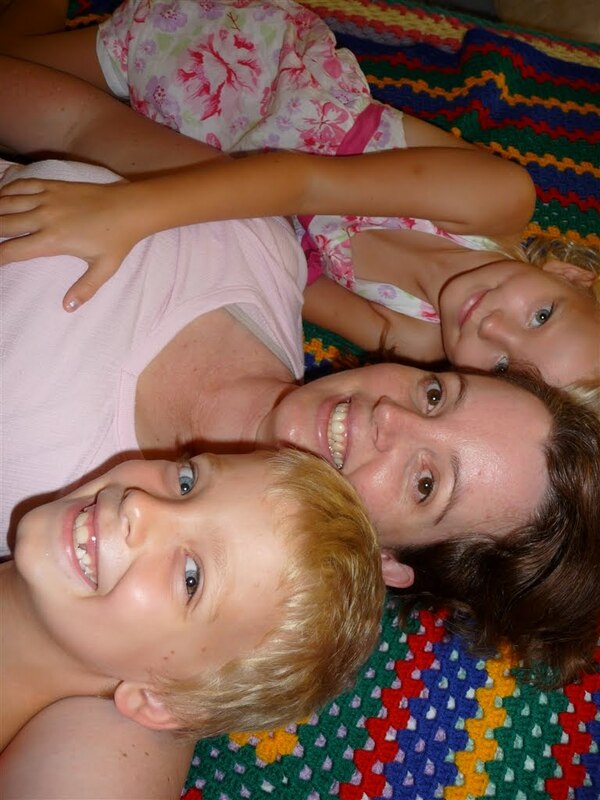 Mum was able to make a blanket for each of her 4 children but it took nearly 10 years. The first image is of the blanket that my mother made for me and I received it when I turned 21yrs old. 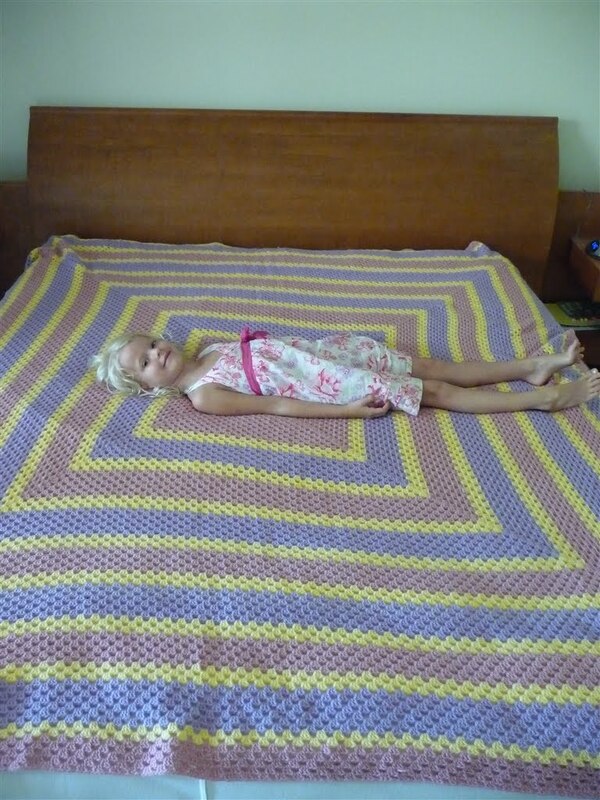 I in turn started crocheting my own blankets when I moved to the southern part of our state where the winters are bitterly cold. My friends would laugh at me and say I didn’t know how to cast off because it took many years to make my first one. The first blanket I made from the colors on my Irish family crest and will post a photo later because it is currently on loan. 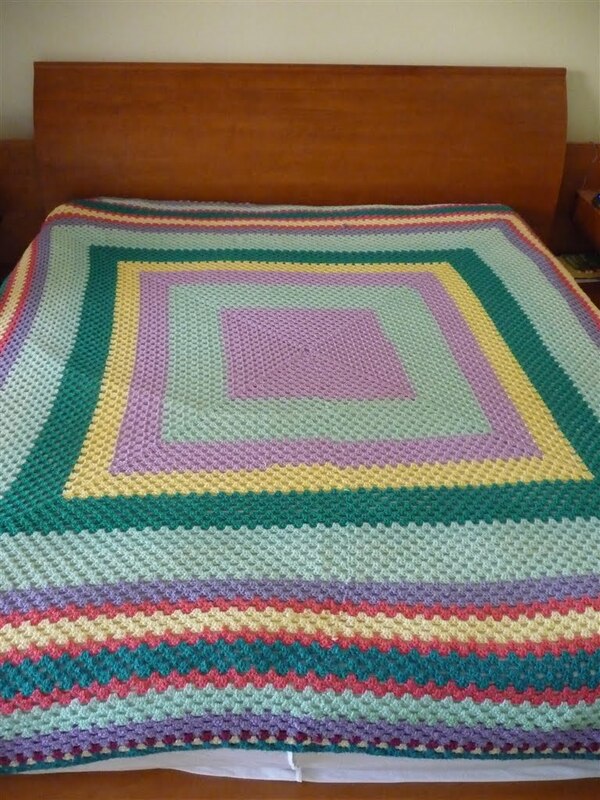 This is the blanket I started making prior to my first child being born and I didn’t finish until after he was born. You can see my daughter lying across it on my king size bed. She was excited when I started getting all the blankets out of storage, the explanation will follow. 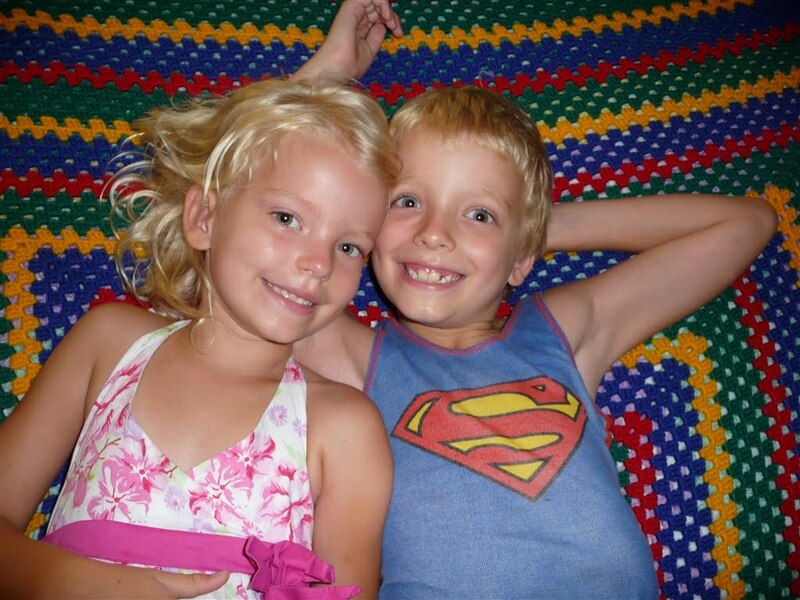 This is my son on his blanket and he is very proud of it, which makes me beem with pride. 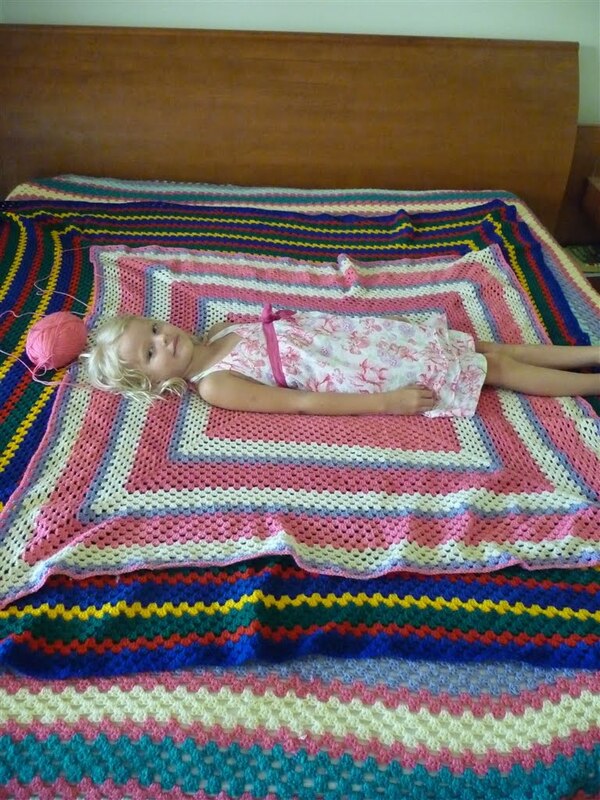 The blanket I finished making after he was born is pink and a king size, my son when he was 18 months old saying “i want my own blanket”. So we went shopping for wool and he picket out all the colours and I proceeded to spend my next pregnancy and following winter crocketing his blanket, which I made smaller (still ended up being queen size). My very patient daughter is lying on her blanket which has taken me too long to finish. The reason for the delay is that when I was married to my children’s father, he would insist on me sitting down on the couch with him and watch TV. Let me explain further, I ran my own business from home and obviously had 2 small children so I had no time to sit and watch TV. We argued on this matter and found a compromise that I would watch 2 TV shows (my choice) a week with him and it was during this time I would crochet. For the last 3 years I have been raising the children on my own and watch very little TV, if I do I am exhausted and the last thing I want to do is crochet.